Buying or selling and looking for a professional to handle the conveyancing process for you? Buying or selling a property involves the comprehensive completion of legal paperwork. Without legal assistance, transfer of ownership may not be completed correctly. We take care of a wide range of tasks including: searches, adjustments, settlements and more. 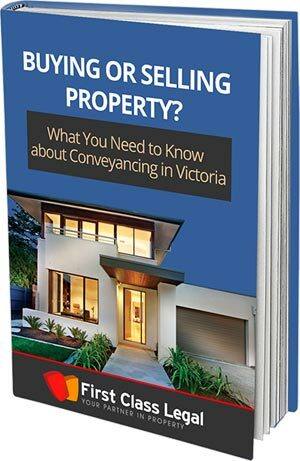 Taking advantage of our professional property conveyancing services in Victoria can help ensure your transaction is as efficient and stress free as possible. Whether you are buying or selling, we take care of the process and we ensure that you understand each step. Throughout the purchase or sale of a property, we will guide you through the contracts, negotiate any changes, liaise with finance representatives and organise the settlement. We ensure that all of our clients are aware of what is involved in the process of selling or buying. These transactions involve binding legal contracts so we provide advice and information. Our clients can also view the progress of their file via a portal (as can any real estate agents and mortgage brokers who are involved). A lawyer can provide a full range of legal-related services including: wills, powers of attorney, probate and conveyancing. In contrast, a conveyancer can only do the conveyance. With First Class Legal standing beside you as your partner in property, you have peace of mind whether buying or selling. We are one of the leading businesses in the conveyancing sector in Victoria. We have years of experience and 5 offices. We settle thousands of properties each year. We have built a reputation for unbeatable professionalism, first rate customer service and effective solutions. To experience a hassle-free transfer of ownership for your next property, contact the experienced professionals at First Class Legal. Call us on 1300 956 321 or Contact Us to book a consultation time in one of our offices. 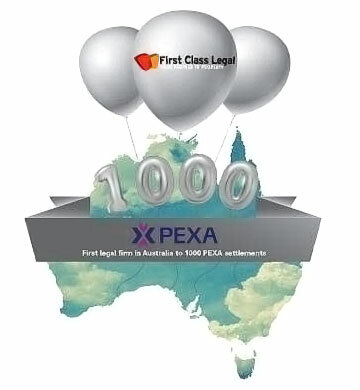 August 2018 – First Class Legal is the first legal or conveyancing firm to lodge 1000 Transfers electronically!